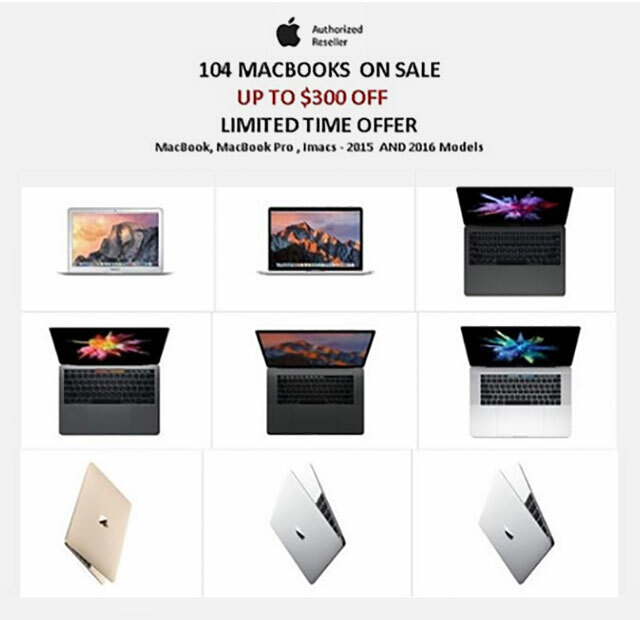 Save up to $1000 with Amazing Mac Savings! Get Limited Time Amazing Mac Savings on MacBook Pro, Macbook, MacBook Air, iMac, Mac mini and even on the NEW 2018 MacBook Pro! 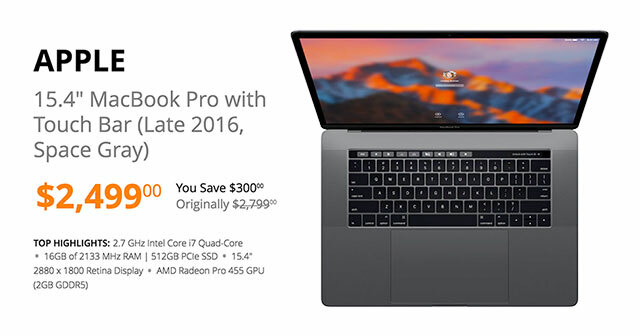 Save up to $1,000 on MacBook Pro Laptops! Save up to $1,000 on MacBook Pros thru 1/31/18! Click Here to check out the Deals. While you’re at it, check out the new iMac Pro! 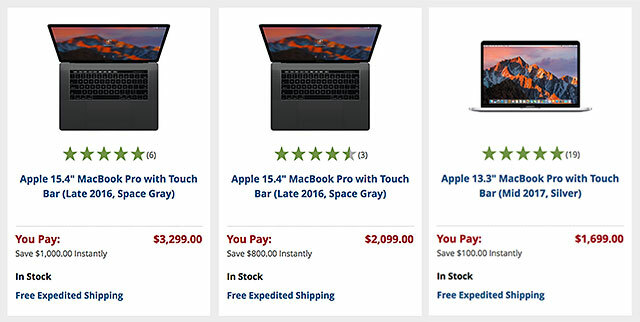 104 MacBooks on Sale up to $300 Off at B&H Photo! Save up to $300 Off 104 Different MacBooks & MacBook Pros! CHECK ALL THE DEALS AT B&H PHOTO! Today’s Deal! SAVE $300 on Apple 15.4″ Space Gray MacBookPro with Touch Bar! 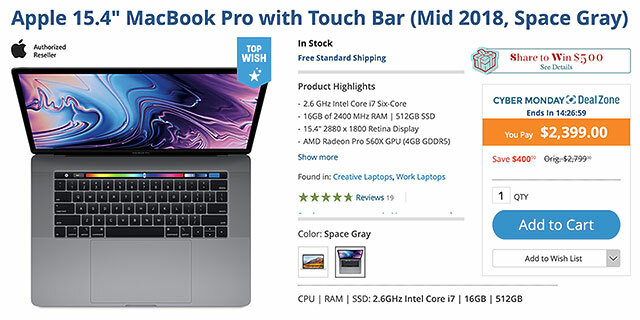 SAVE $300 on Apple 15.4″ Space Gray MacBookPro with Touch Bar! $2,499 after $300 Instant Savings!